Sri Lanka’s team for the T20 World Cup was shrouded in uncertainty just a day before it was to leave for India after the committee of selectors was unexpectedly disbanded for not complying with SLC’s selection policy on Monday night and new members appointed. The new committee comprising Aravinda de Silva, Romesh Kaluwitharana, Ranjith Madurusinghe and Lalith Kaluperuma were sitting till late night to finalize the 15-man squad after skipper Lasith Malinga resigned as captain citing his knee injury. De Silva was named as the Chairman of the committee in a press release issued last night, which included former captain Kumar Sangakkara. “The appointment of the National Selection Committee was carried out by the Minister citing recent failures encountered by the National Team in their Tours to New Zealand, India, Asia Cup in Bangladesh and the inconsistency in the selection criteria,” the statement said. Last month Sri Lanka Cricket announced identical teams led by Lasith Malinga for both the Asia Cup and the World Twenty20 despite the 32-year-old not having fully recovered from a recurring knee-injury sustained during the home series against West Indies last year. Malinga played only the opening game of the Asia Cup and was forced to sit out the entire series which Sri Lanka lost embarrassingly. He missed Sri Lanka’s tour of New Zealand in December and January, and was later ruled out of the T20s in India, in February. The MRI scans of his injured knee have shown substantial damage. The physiotherapist has recommended ten days of rest, meaning that the 32-year-old paceman will not be available for any of the practice matches ahead of Sri Lanka’s opening clash on March 17. 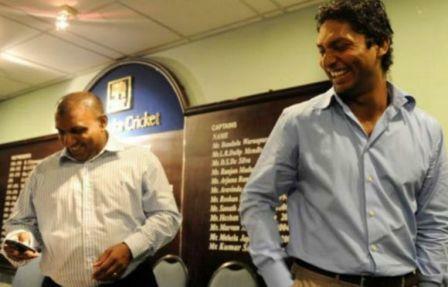 However, Malinga has offered to play if selected to the team. Sources said Malinga would now be replaced by Angelo Mathews as skipper but the former was likely to be retained in the squad as Sri Lanka looked to defend their title won two years ago in Bangladesh.